Founding Partner Richard Idell is a vineyard owner and producer of wine, so he understands firsthand the challenges facing start-up and established vineyard and winery clients. Mr. Idell counsels vineyard owners and winery owners, wholesalers, retailers and other business related to the wine business such as bottle purveyors, cork purveyors, vineyard managers, online wine retailers and wholesalers, etc. Whether the client is establishing a capital intensive winery operation requiring significant planning and land use issues, or, a virtual urban winery which owns no vineyards and is operating as an alternating proprietor, The Idell Firm can assist in the myriad issues that arise. Because of our depth in copyright and trademark matters in the entertainment business, we are well versed in the challenges of establishing name brands, vineyard name designation, wine name designation and related issues. In addition, once again calling on our experience in the entertainment business, we can advise on event planning and presentation, publicity and advertising issues, website issues, sponsorship and product placement. We have decades of experience in obtaining municipal entitlements and can assist in the complex process of obtaining a use permit for winery or other wine facility or tasting room. Mr. Idell is on the Board of the Sonoma Valley Vintners and Growers Alliance and chairs a committee on city, county and state regulatory issues. As such he has been involved in a countywide committee on “winery event issues”. In addition, he represents winery applicants on new winery applications and permit modifications at both the level of the Board of Zoning Adjustments and on appeal to the Board of Supervisors. Transactions for the purchase and sale of vineyard and winery properties involve complex issues. Typically, in wine country real estate transactions, once the buyer has identified a property, the real due diligence begins. The Idell Firm, and in particular Richard Idell, is very experienced in due diligence and investigation that must be accomplished in such a transaction. 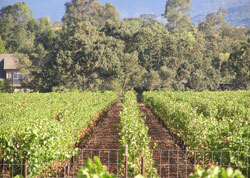 A typical real estate transaction involving a vineyard or winery can implicate issues such as water, boundary issues. Williamson Act, underground storage tanks, zoning, deed restrictions, fences of convenience, archeological issues, historic building issues, biological issues, easements, joint water system agreements, use or zoning permits, septic and waste water, wetlands and other environmental and planning issues. Winery and tasting room permitting issues and the myriad land use issues pertaining thereto, including, but not limited to Williamson Act and Agricultural and Conservation Easement Issues. Copyright issues in label design, advertising and websites. Regulatory licensing and compliance at both the state and federal level. Drafting of independent contractor agreements. Drafting of grape purchase contracts. Advice on and drafting of easements, water rights agreements, boundary agreements, vineyard leases, vineyard management agreements, vineyard designation license agreements and other wine industry transactions. Event planning, production and presentation. 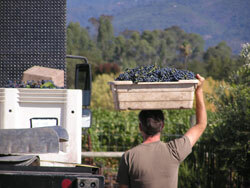 Vineyard leases, grape contracts, vineyard management contracts and related issues. Formation of partnerships, limited liability companies, limited liability partnerships or corporations for implementation of business plans. Litigation concerning contracts, trademarks, copyright, employment, real estate, partnership and other corporate disputes, negligence in the provision of services and other litigation issues that arise.